You are what you eat. That old cliché doesn’t just apply to humans. Nutrition is a key component in the health and well-being of your dog or cat. Most of our pets eat the same food every day, thus individual diets become more important for animals than for people because our pets do not have the ability to choose what they eat. Selecting a diet for your pet is an important part of being a responsible pet owner, but it is equally important that you feed an appropriate amount of the selected diet. According to a 2012 study by the Association for Pet Obesity Prevention, obesity in cats and dogs is on the rise, affecting over fifty percent of our pets. And while a chunky kitty may be cute, those extra pounds can prove to be detrimental to his or her health. A 14-year study of dogs showed that dogs fed to maintain an ideal body condition throughout their lives had an average lifespan of 1.8 years longer than obese littermates. In addition to the orthopedic and cardiorespiratory issues that can result from carrying excess weight, obesity can also make it more difficult for veterinarians to diagnose and treat potential medical problems. But how do you know what a good size for your pet is? Doctors use something called the body condition score, which involves examining a pet’s ribs and spine, as well as the animal’s overall shape from side and overhead views. Using a five or nine-point scale, your vet will determine how close your pet is to the ideal weight. Pets should ideally fall squarely in the middle of the scale. If your pet has gotten a little hefty, making changes to your pet’s diet and activity level can help. 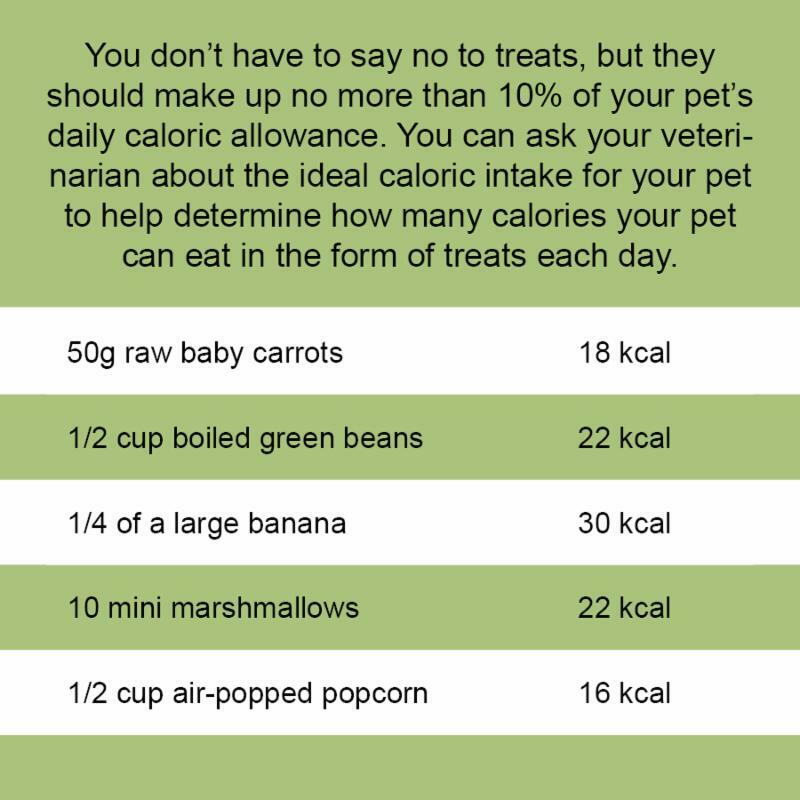 Your vet can help you determine your pet’s optimal calorie allowance. Though the multitude of food choices available can be overwhelming, don’t fret. There are many great options. Dr. Dereszynski recommends looking for a pet food that is formulated to meet the nutritional levels associated by AAFCO (the Association of American Feed Control Officials), which will indicate if the diet is complete and balanced, and if so, for what life stages. If the label states that the food is for “intermittent or supplemental use only”, the diet is not complete and balanced. However, this labeling may be acceptable if the diet is a veterinary therapeutic diet that is being used for a specific purpose, such as managing chronic kidney or liver disease. It is best to select a diet that is manufactured by a company that employs a veterinary nutritionist to ensure that the diet is formulated properly. Dr. Dereszynski also recommends choosing a food that has passed a feeding trial and contains nutrients that are digestible and easily absorbed. Some hands-on folks like to stay away from the pet food aisle completely, choosing instead to make their own dog or cat food at home. Doing this allows greater control over protein sources and additives, though it can be fairly labor intensive.